Music has always been a huge influence in my life. It has been my source of comfort during the good times and bad, and it has given great depth and emotive undertones to my life experiences. What I love most about music is the power it has to unite people. 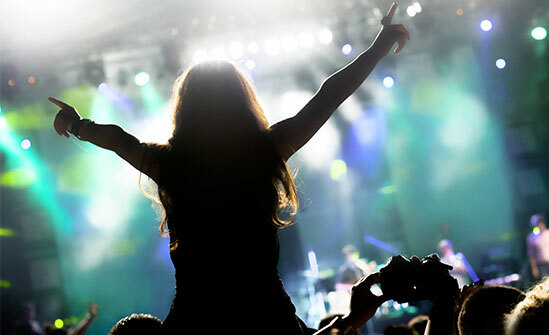 Some of the most enjoyable experiences that I’ve had has been when I was in the midst of a cheering crowd at a concert. There’s something magical about being in a space where strangers come together to celebrate something that they are passionate about. Recently, I was at one such concert with a couple of my friends. My friends and I have always preferred to stay in the periphery area where the crowds are not so “crazy” and where we have plenty of personal space. But on that particular night, one of my friends suggested that we move closer to the stage. I immediately shook my head refusing to put myself in an uncomfortable situation where I could be crushed in the crowd. But my friends insisted and said that it would be an adventure. I gave in and held one of their hands as we tried to meander through the pockets of space in the audience. As we got closer and closer, I couldn’t help but notice how the energy gradually shifted. It became increasingly intense until we finally reached the front of the stage, right next to this famous house DJ. Initially, I was a little uncomfortable but once I was able to let go and open up to the experience, the rest of the night unfolded into hours of dancing, laughing and connecting with my friends and the people around me. Later I realized that if I had not allowed my brave friend to take us to the front of the stage, our night would not have been half as exhilarating as it turned out to be. I am deeply thankful to her for the experience and more importantly, the learning. 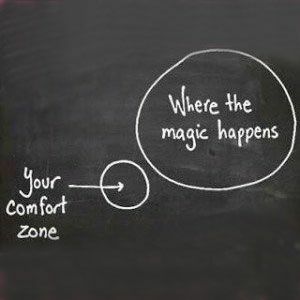 This experience was the perfect metaphor that taught me this truth: Too often we miss out on some of the most rewarding outcomes and experiences because we’re afraid of trying new things and step outside our comfort zones. We get stuck in safe and familiar situations in which we may stay in much longer than necessary. Our heart and intuition may repeatedly tell us that we need to move on, but our fears create a fog that prevents us from seeing a situation clearly. Life is not supposed to be static and predictable. 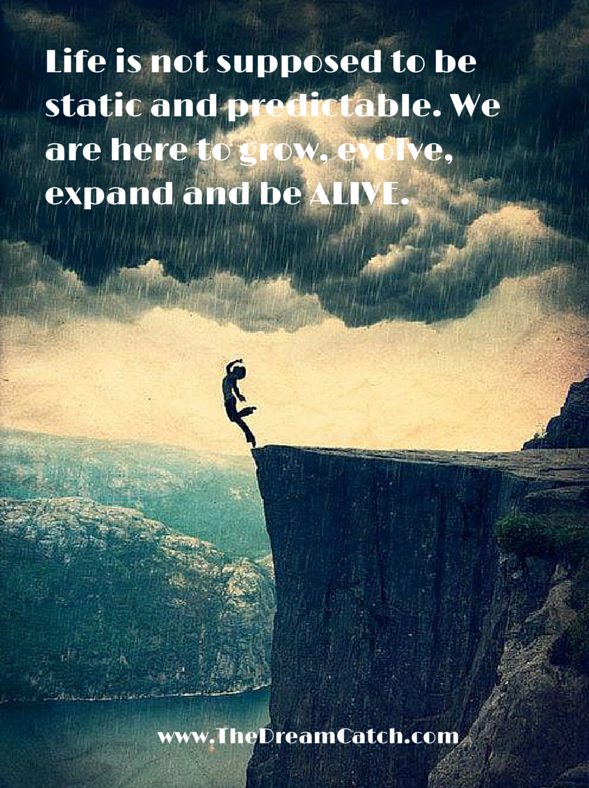 We are here to grow, evolve, expand and be ALIVE. We have been raised to believe that we need to “play it safe” but it’s important for us learn how to strike a balance when it comes to risk-taking or else we could miss out on valuable opportunities to grow. The only way we can do that is by living out our passions and constantly challenge ourselves to take our lives to the next level. If you are one of those people who has been feeling stuck in your life lately, ask yourself what is one (or two) things that you would REALLY like to try that is daring and makes you feel a little scared- in a good way? Are you ready to turn that hobby into a dream career you’ve always wanted? Do you want to sign up for a challenging dance class? Or maybe let someone know how you truly feel about them? Define a daring action step your can take, then strap your boots on and get ready to take a leap of faith. Remind yourself that you have nothing to lose and everything to gain because every experience will broaden your perspective and evolve your spirit. Question for you: What is one (or two) things that you would REALLY like to try that is daring and makes you feel a little scared- in a good way? What is the first step that you are willing to take in stepping outside your comfort zone? « Do You Feel Like You Wasted Your Youth? You Need to Read This.